These days internet users are all fairly used to granting apps, websites, and services access to their permissions and personal info, but it can often still be unsettling to grant control to a third party like ToneDen. Definitely a lot if all you're trying to do is enter a contest. 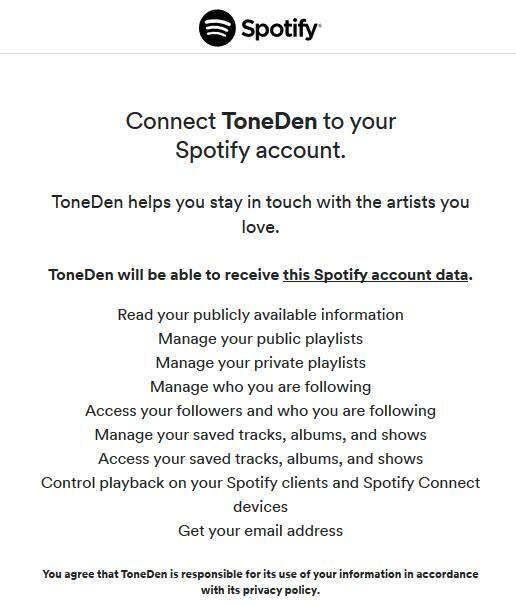 For context, the reason we request these permissions is so that we can follow artists, save playlists and tracks, and stream tracks on behalf of your account as part of those artist's ToneDen campaigns that you specifically engage with. At no point do we ever delete or modify existing content in your Spotify library. When it comes to YouTube permissions, which can appear even more aggressive, we are limited by what YouTube offers. 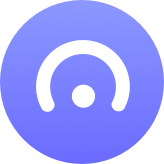 Unfortunately, they do not have granular permission controls, and as a result we have to request full access to make use of the platform. That means we have to request a large set of permissions (including unsettling ones like 'let ToneDen delete your videos') that we don't even make use of along with the few that we do. Once again, the only action the ToneDen platform will take on behalf of your YouTube account is to subscribe to a channel as a result of a specific action that you take on ToneDen; no part of the ToneDen platform will ever delete or modify your existing YouTube content. If at any point you'd like your account and all associated information deleted, you can do so yourself by going to www.toneden.io/settings/advancedand then clicking the 'Delete Account' button, or by emailing us at support@toneden.io with your username or account email and making a request to delete your account.